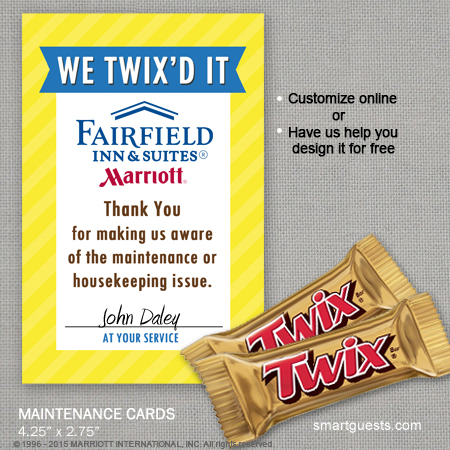 How does a guest know who's been in their room and was their problem really resolved? How is your hotel communicating with guests? 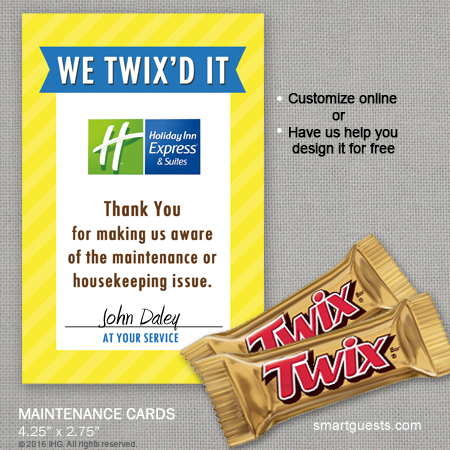 Most hotels don't have a program. 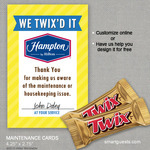 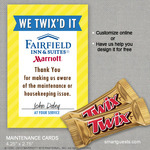 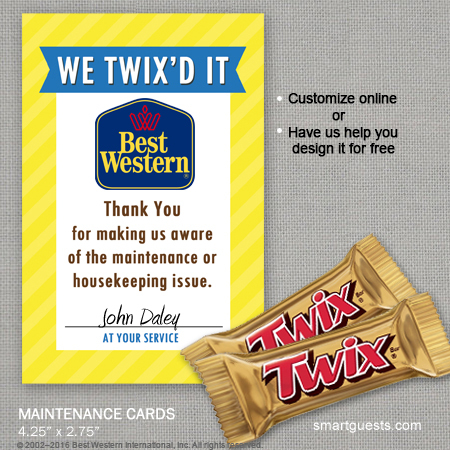 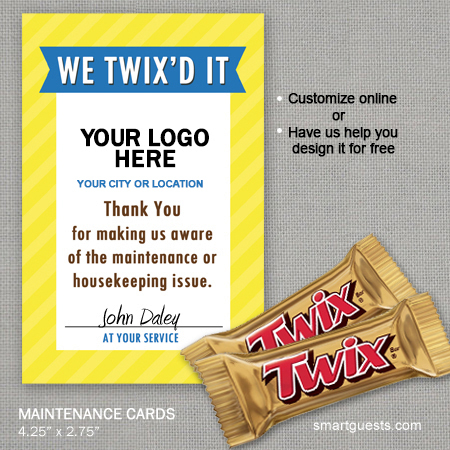 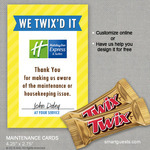 Improve your guest's experience with this sweet tool. This beautifully designed, premium card will improve customer service scores, prevent negative reviews and make guests smile.Take action right now, select quantity then the NEXT button to add your logo online. 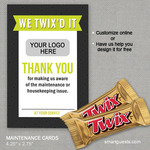 Custom design to match your branding is also available. Contact us for more details.